Developing an efficient video content marketing strategy is not easy. It has become easier to get your video in front of people thanks to YouTube or social media (as opposed to TV and film, which still are hard to reach platform), marketing professionals must think meticulously about the kind of video content they generate, as well as the target market and the platforms on which the video content will be disseminated. 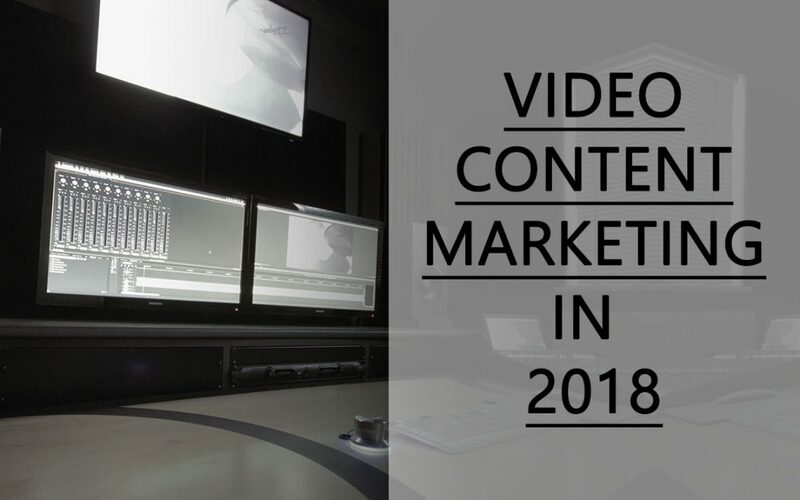 Even though businesses can produce and distribute videos relatively easy (especially compared to the way it was just 15-20 years ago), they ought to take a scientific approach to their video content marketing strategy. That means looking at the data as opposed to doing things based on intuition or inspiration. It is a good idea to explore a variety of different video types and formats. One method of developing a video marketing strategy is create videos specifically for a certain phase of purchasing funnel. For example, companies can start with top of the funnel – the brand awareness – by way of producing a brand film, a range of educational “how to videos” or shoppable Facebook Live videos. For middle of the funnel companies can develop more in-depth product demo videos or case study videos. And lastly producing a special “thank you” video for that “thank you” page or email will make sure you leave a lasting impression. Developing a reoccurring series of videos with same theme is an additional method available to marketers to grow target audiences. There is a very high volume of different video formats, styles and channels available today. This means marketing professionals must think very carefully regarding how particular video works for their business, brand or organization. Further in text we explore some of the video formats available. YouTube is the home of long-form video as well as the number one choice for companies seeking to go straight to potential customers. Numerous businesses are convinced that online programs can make a huge difference and reach large audiences and are investing in video accordingly. Long form videos on YouTube can also assist to create the mass awareness needed to advertise a newly launched product. It is important to note that quantity doesn’t always trump high quality. If putting out a new video each week is eating up too much of your time and resources, think again – maybe less frequent, but higher quality video production is the way to go for your company. Instagram and Snapchat have compelled businesses to incorporate short-form video into their multimedia content selection much more often. This means marketing teams need to learn how to use various display sizes. Instagram’s square videos and Snapchat’s vertical videos can both introduce a difficulty when it comes to creating and using video content. This means video content marketing managers must be even more creative and remember – when it comes to creative projects, a one-size-fits-all strategy cannot be used. Web content put together by company/brand/organisation fans, as well as influencers and staff has been a huge triumph recently for countless companies. Not only you can publish videos generated by consumers on your social media accounts and websites, you can additionally benefit from these videos by producing montage videos showcasing these user-generated video clips. Live-streaming is now being introduced, examined and tested on a variety of platforms such as Facebook, Twitter and Google. Various other players in the market are coming up with custom live streaming products. One way of benefiting from livestreaming revolution is for companies to advertise on live video streams, which is an easy way to connect with a specific audience. It must be noted though that livestreaming is more and more becoming a method for companies to generate their very own live web content. Platforms other than Google, Facebook and Twitter are appearing on the market. These platforms provide tools to take more control over a live video experience and enables companies to design this experience according to custom specifications. “Stories” is a feature developed by Snapchat in 2013 and now platforms such as Instagram and Facebook have also started offering a “Stories” feature. “Stories” enables visitors of a social media platform to record and play a collection of videos or photos in one continuous series. Companies should take benefit from these functionalities which are very popular with many audiences. Companies must ensure they are considering producing video content for specific screens, especially when it is known that content will be viewed mainly on mobile devices. Research shows that mobile-optimised square video formats if watched on mobile devices generate 66% more full views in comparison to horizontal videos. It also reveals that vertical and square video ads are the least unpleasant of all smartphone ads. Vertical and square ads are memorized better compared to the horizontal layout when viewed on mobile devices. It’s no longer a practical option for companies to merely repurpose TV advertisements for use on various other channels. The message of an ad might be lost if it is auto-played in a social media news feed. Therefore, being aware of the context where target audiences are watching your content is key. This means thinking beforehand how a video will be watched. Today it means the video will frequently be watched without sound. Although it does present a difficulty it also offers marketing professionals the chance to become innovative and to produce video content specifically without any sound. Many businesses and marketing teams find it difficult to understand and measure video performance. Information about impression rates, video view counts or video view completion rates does not by itself confirm whether clients or potential customers have kept your video in mind, liked the video, or felt persuaded by your video. Businesses should instead be asking other questions around the video. Did the video views result in brand or product advocacy? Did your video strengthen existing attitudes or behaviours or create new ones? Did your video made your customers want to buy? Did it improve revenues? When producing a video companies must make sure they get the correct/desired feel and look. Here we are offering several simple suggestions to make the most of a modest budget when creating a video. Frequently companies rush video production and start filming without devoting enough time thinking about video’s message, timing or preferred outcome. Preparation in advance means the production will not only be more effective, but also much less likely to go over budget. Companies should firstly specify their objectives and what they really want the video to accomplish. It is also advisable to include a call to action in your video. Be it your smartphone or a pro DSLR video camera, creating video has never ever been easier. Content creators are filming high quality video footage directly from their living spaces with minimal equipment or funds. Re-using old video footage by way of editing it in a different style is an affordable technique of getting more value out of your video production. Don’t shy away from using existing video footage just because it is older. Videos can also be freshened up with new soundtrack and by incorporating footage of the same subject but filmed from a different angle. Some companies produce a video just to have one, while others take a one-size-fits-all approach, putting the same video on each and every social media platform. To stay clear of these problems, make sure every video is social media ready. In practice, this means getting to know requirements of each particular social media platform and customising the video accordingly. This especially means producing video in the right format – horizontal, square or vertical. Much needed article, Thanks a lot for sharing. Video marketing can be leveraged even better when it is a startup company. A good business explaining video and impressive content can make success to our clients. This is a great article! I definitely agree with your second point about short videos. A customer who feels like they have a personalised experience makes them feel more special.